This review is based on the best and recommended tablets every parent should get for their kids. Most parent do ignore the purchase of gadgets for their kids, instead they keep buying lot of toys for them, forgetting that in this computer age, toys won’t do no good to kids. Today’s stroll, I would write a brief review on the Top 5 best tablets for kids 2014. Kindle fire is a great tablet for kids with lots of unique features. Its display is 1280x800 HD with polarizing filter. It also acquires the anti-glare technology which produces rich colour display and also deep contrast from the angle of view. Comparing its wifi to that of iPad mini, in terms of connectivity, the kindle fire HD 7 is 35% faster in downloads and streaming. 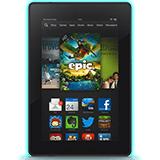 The Kindle Fire HD 7", HD Display is a 1.2 GHz dual core processor PowerVR 3D graphics core. Its storage size varies from 16GB and 32GB. 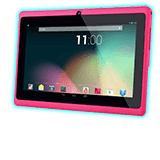 The more reason this tablet is recommended for kids is that it has lots of integrated supports, and parents can create a profile for each of their kids, and select the apps, games or funfairs in which their kids can access. And parents can also setup the limited time in which their kids can use the tablet. The Dragon Touch® 7'' Pink Dual Core is another impressive tablet for kids which has a display of 1024 x 600 HD display and also a 1.2 GHz dual core processor. It’s actually an android tablet with Android 4.1 OS, HDMI, Google play preload and also 4GB 3D Game supported. 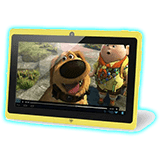 This tablet is recommended for kids because its display is very cool, in terms of reading ebboks on it, watching videos and also looking photos. It also has a MicroSD slot that allows upto 32GB memory, where you can download cool songs and educative videos for your kids. 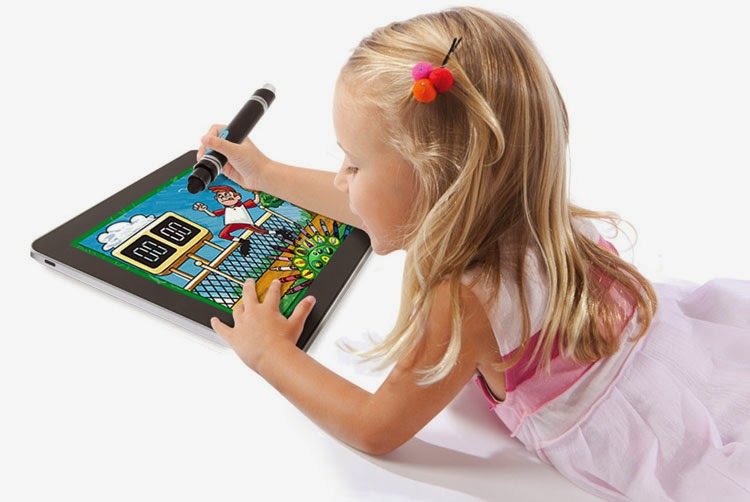 The Kurio Kids Tablet with Android 4.0 is another profitable tablet for kids. It’s also a 7-inch android tablet with android 4.0 OS in it. The good things about this tablet, is that, you can easily control how long and when your kids can use it. You can also specify the type of websites that can be accessed with the tablet, and also the type of apps that can be accessed with it. The tablet has tons of preloaded datas and contents, and 8 profiles can be created on it for your kids. The Vuru JR. 8GB 7" Tablet, Android is another best tablet for kids with loads of sophisticated features that your kids would really enjoy on it. The tablet has an android 4.1 operating system, with 512MB RAM with a hard drice space of 8GB. It has a dual core proceesor and also a dual camera, and it’s a 7-inch LED panel touchscreen. 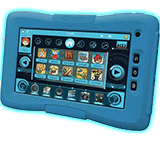 This tablet is recpmmended for older children because it has lots of intergrated supports like quickoffice or Microsoft office, where kids can do there assignments or projects. 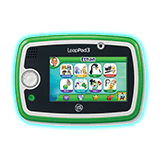 Finally, the LeapFrog LeapPad3 Kids' Learning Tablet, Green is known as the award winning tablet for kids between ages of 4-9 years. It acquires the parental setup, where parents can easily limit their kids in which and what the tablet is being used for. It also has a libarary of over 800 educational apps, games, movies, ebooks and many more for your kids. It has a builtin rechargeable battery, with 8GB storage memory and a 2MP front and back camera. Hope you find the review very helpful. I would love you to like our facebook fanpage and also join our blog readers for more updates.